The Texas company that runs Park Hill Golf Course says it is willing to match the price discussed last fall when the course’s owner announced a deal – now up in the air – to sell the land to the City of Denver. Scott Siddons, general counsel for golf operator Arcis, told BusinessDen this week that the company wants to buy the course from owner Clayton Earning Learning for around $21 million – the same terms announced last fall with the city. Siddons said Arcis Golf owns Arrowhead Golf Course in Littleton and Parker’s The Club at Pradera. According to the terms of Arcis’ and Clayton’s current lease, which comes up for renewal at the end of June, Arcis pays $700,000 a year in rent and has a “right of first refusal” if the course is ever sold. Arcis and Clayton now are locked in a lawsuit over what constitutes a right of first refusal. 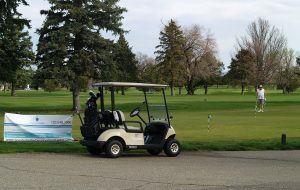 The city announced in September that it had reached a deal to buy the course for a one-time payment of $10.5 million with $350,000 paid per year for 30 years, and a cut of any land sale that might come later if the land is sold to developers. The deal was put on hold in September. Arcis sued Clayton last month, saying it was never given its right of first refusal. Clayton has countered that Arcis’ right hadn’t kicked in yet, because the announcement involving the city was a proposal, not a “bona fide” signed offer. Siddons said Arcis wants to own the land and run it as a golf course for the time being. Clayton CEO Charlotte Brantley said Arcis could not meet some terms of the announced deal, such as changing any of the uses from golf to something else. Only the City of Denver can change the use, she said, and Clayton would reap 75 percent of any land sale up until the deal reached the $24 million threshold. 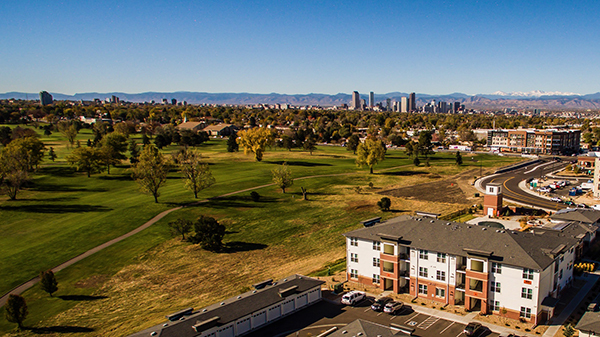 Clayton and the City of Denver have a previous agreement that lets Clayton avoid paying taxes on the golf course in exchange for designating it open space or golf, Brantley said. “That is a contract between two parties,” he said. “And only we, as parties of that contract, can change it. “We were not prepared to take that kind of hit on the budget,” Brantley said. 2 Comments on "Operator wants to match city’s offer for Park Hill Golf Course"
Wow, Brantley clearly didn’t understand the real estate process or pay attention to timing of the market. I’m sure there is plenty of interest to buy that land, & landowners can rezone & introduce new uses, not just the City. However, only one company has the first right of refusal, and they now know they can buy & flip this land for great reward. The land is encumbered with a perpetual open space conservation easement. Taxpayers paid the Clayton Trust $2 million in 1997 , and in exchange, Clayton promised not to develop the land “in perpetuity.” Arcis can’t just buy and flip this precious 155 acres of open space. There’s not just profit for some at stake here.